Scientists spotted a small delicate looking and a "spooky" octopod. It was discovered by the Deep Discoverer in the deep waters off Hawaii, but could this curious creature an entirely a new species. 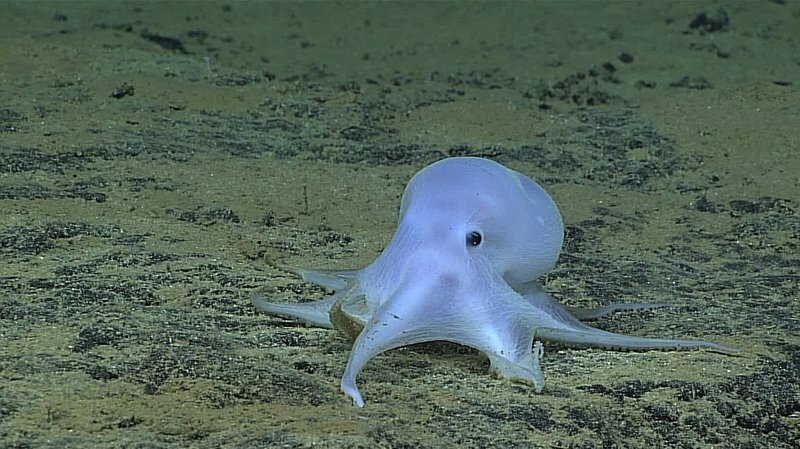 The scientists from the National Oceanic and Atmospheric Administration has spotted this remarkable little octopod which is a semi-transparent white color while gathering the geological samples with a Remote Operated Vehicle — ROV on Necker Ridge in the Hawaiian Archipelago. The appearance of this species was unlike any published records and the deepest observation ever for this type of octopus, and the class of mollusks, octopuses, squid, and others belong to National Oceanic and Atmospheric Administration — NOAA. The obvious new species is an Incirrata octopod lacks fins and cirri which mean finger-like parts linked with suckers on its arms. However, it resembles the common octopus that lives in shallower water. But, what makes this creature unusual from its family; is that it had suckers in one, rather than two, series on each tentacle and with a very distinctive color: Unlike most cephalopods, it lacks pigment cells. If you closely see, this resulted in a ghostlike appearance; you can also call it as a Casper, a friendly cartoon ghost. 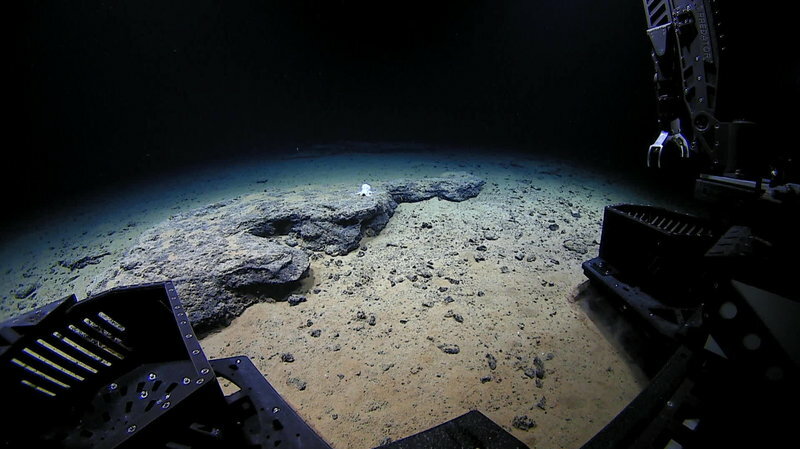 While it was found at a depth of over 14,000 feet, it appears to be the first Incirrata discovered that far down on the sea floor. This octopod is certainly an unusual species that may not belong to any described genus, as per the agency. The scientists were surprised seeing this unusual species as it was spotted sitting on a flat dusted rock with a light coat of silt.